If you are looking for a great source of gluten-free, vegetarian protein, the legume family is the way to go. This means that peas, lentils, and, especially, chickpeas are a great healthy option to help your body stay at its best this winter. Chickpeas are high in protein, calcium, and fibre, meaning they help keep maintain your digestion as well as the strength of your muscles and bones. They are also very filling and leave you feeling good at the end of your meal. Here are some ways to try out chickpeas this winter. This simple recipe takes only minutes to make and has a great selection of nutrient-rich vegetables. It also has a great texture, with the combination of the rounded chickpeas and the ruffled cauliflower. With yam and red pepper for some extra colour, you get a unique and delicate flavour that coincides very well with the curry and coconut milk put together. It is not always easy to get enough vegetables all year round, so incorporating them into a dish like this is a great way to get all your vitamins and minerals that you need to stay healthy all season. The light, tart taste of honey mustard gets soaked up easily by the chickpeas in this dish, which provides an earthy taste and a velvety/starchy texture. You can use chickpeas prepared this way as a side dish for something else, like meat if you are not a vegetarian. Or, if you are a vegetarian, the succulent legumes can make a robust lettuce wrap that is both healthy and filling enough to tide you over to your next meal. No consideration of chickpeas is complete without a mention of hummus! Hummus is an excellent snack and side dish enjoyed around the world made up of pureed chickpeas, garlic, and lemon juice. It goes wonderfully with gluten-free crackers, vegetables, or spread on a sandwich in place of mayonnaise. 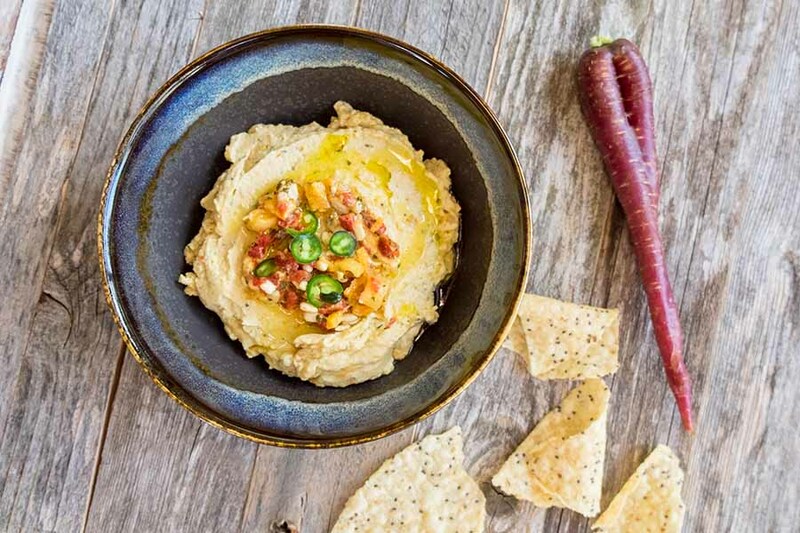 Hummus can be made in many different ways, but this combination is sure to be the tastiest you’ve ever tried.